I tend to make pancakes about every other weekend…it’s my go-to, sleep-in, piddle around the kitchen breakfast. And they don’t get old because you can flavor them a million different ways and change up the toppings just as much. 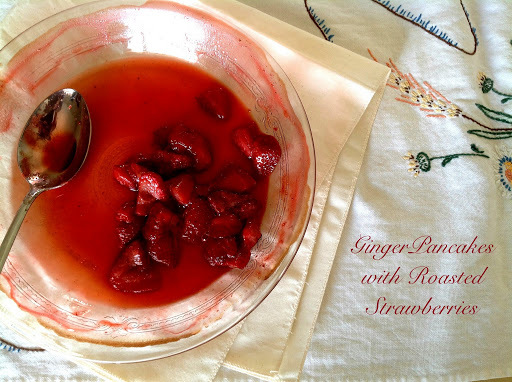 I happened to have a knob of ginger in the fridge, so I added that to the pancake batter…and I knew I wanted to use the strawberries; I decided to roast them to bring out their juices and to concentrate their sweetness. Drizzled with honey, they were smashing! Next weekend: repeat and eat! Preheat the oven to 425 degrees. 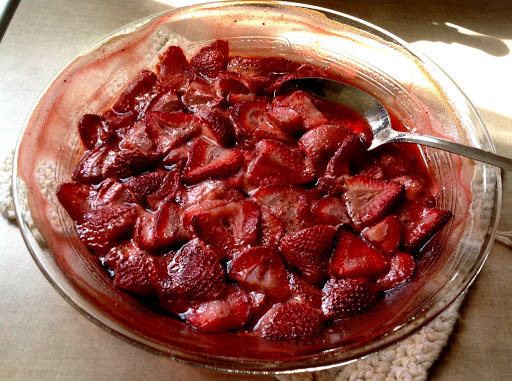 Mix the strawberries and brown sugar together. 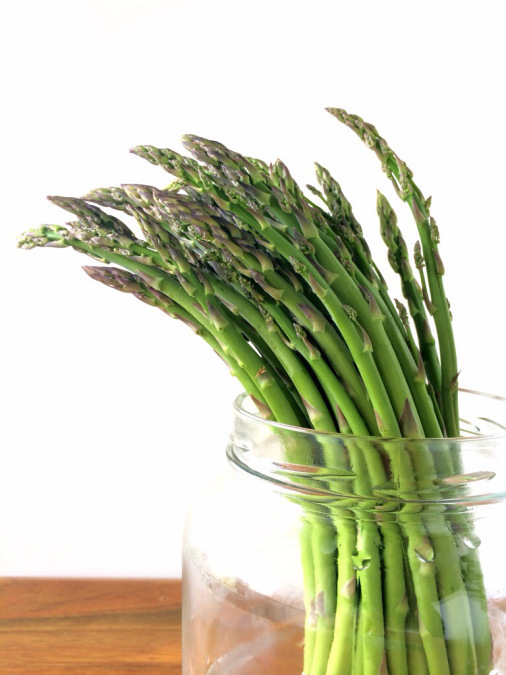 Place them in a baking dish and roast for 15 minutes. 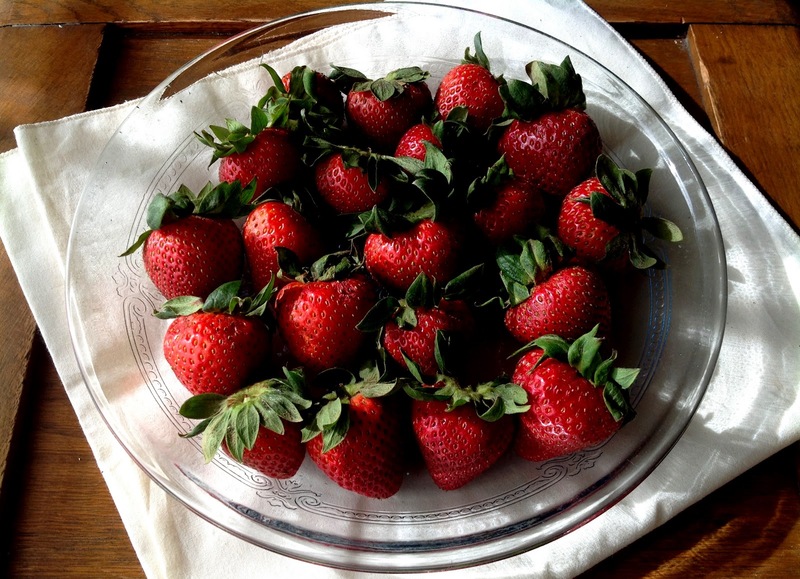 Set aside while you make the pancakes. Preheat oven to 200 degrees and place an oiled wire rack inside a baking ban in the oven. Mix together the dry ingredients (flour, baking powder, baking soda, and salt). 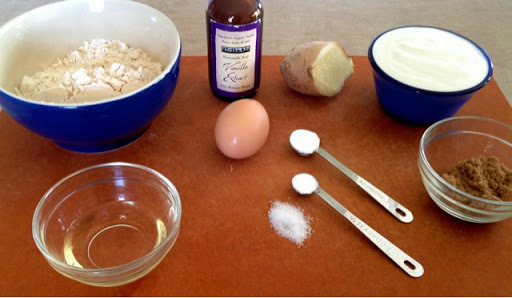 In another bowl, mix together the wet ingredients (egg, yogurt, ginger, sugar, olive oil, and vanilla). 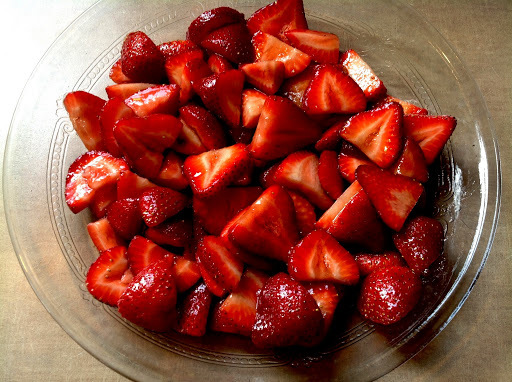 Make a well in the center of the dry ingredients and pour in the yogurt mixture; gently whisk until just combined. Heat 1 teaspoon of oil in a large nonstick skillet over medium heat until shimmering, then use a paper towel to wipe away some of the oil. Ladle out batter into the skillet and cook until edges are set and bubbles appear on the surface, about 2 – 3 minutes. Use a spatula to flip the pancakes and cook for another minute or two. Transfer pancakes to the preheated oven while you finish making the rest of the pancakes, adding oil to the skillet as needed. 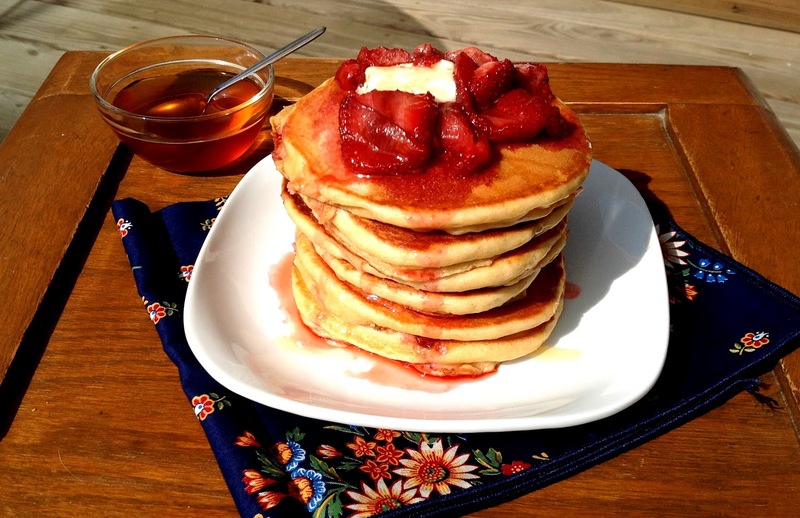 Serve the pancakes with a pat of butter, spoonful of the roasted strawberries and honey or maple syrup. Enjoy!